This is a great scent. It smells like Mashmoom which is a middle eastern version of the Sage plant but better. It is a very strong herbal-citrus-Green scent but is still fresh. Wow. This definitely exotic and unique!!! Basil and green tea with a splash of citrus star in this oil. It's delightfully refreshing, like a cold drink on a hot day. The longevity is not as good as with other Al-Rehab offerings, but that's okay. It still stayed several hours on my skin! This will be awesome for summer. I receive a ton of compliments every time I wear this! Long lasting, fresh, different! 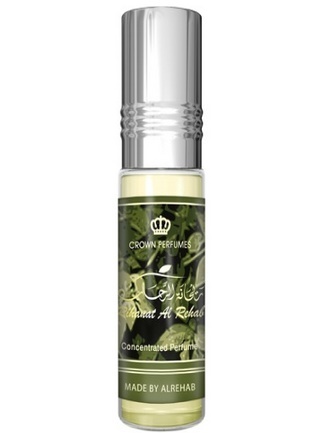 This is a lovely scent from Al Rehab! It is fresh and clean with just a hint of sweetness on me. It smells like basil mixed with citrus with just a bit of fruit and I like it so much. There is nothing that I can compare it to. It doesn't remind me of anything else but it smells like something I would drink on a hot Summer day or even on a warm Spring afternoon. I am wearing it in Spring and will continue wearing it throughout the Summer. It is a lovely daytime fragrance and quite fitting for the office because it is a calming scent and won't be loud at all. Try it; maybe you will like it as much as I do.